The Mossy, our community coffee shop and alternative venue for meetings was officially opened on the 30th of August 2015, in celebration of our fortieth anniversary. Staffed entirely by our amazing volunteers, we are open on Sundays from 9:30am - 10:45am and after the service until approximately 2pm. During the week we now open 10am - 2.30pm on Tuesday, Wednesday and Fridays. Private bookings for funerals, parties and other events are available upon request. 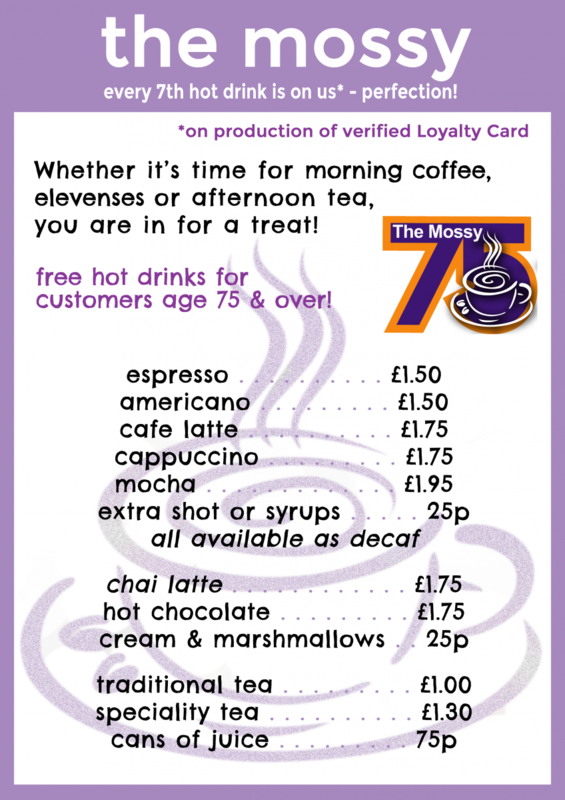 We provide free hot drinks for those aged 75 and over - so please don't be offended if we ask your age, we are trying to make no-one who is entitled misses out! 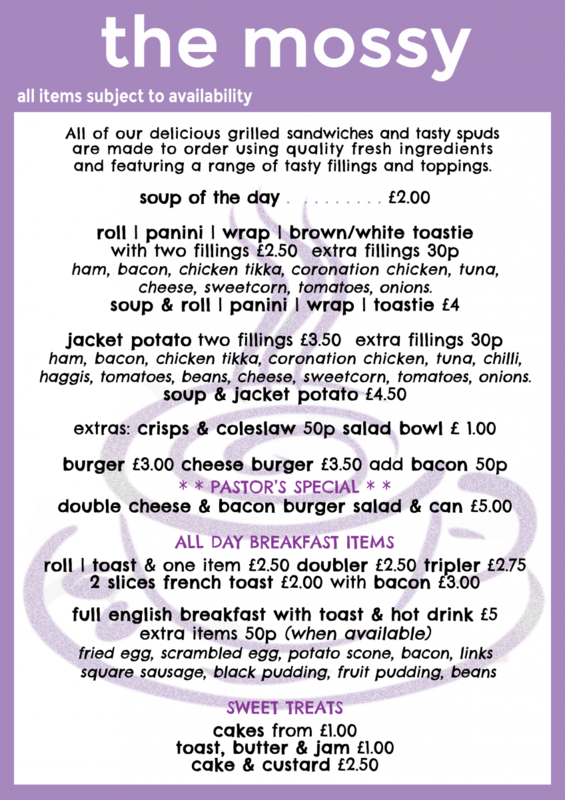 A £5 meal deal ('Silver Service) is available for age 60+ on Tuesday's.